Rumor: Photograph shows a volcano in Indonesia that spews blue lava. 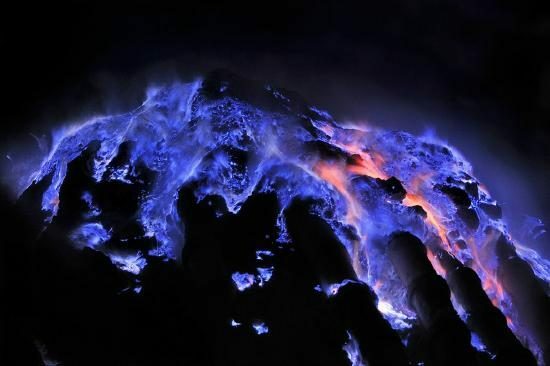 Claim: Photograph shows a volcano in Indonesia that spews blue lava. 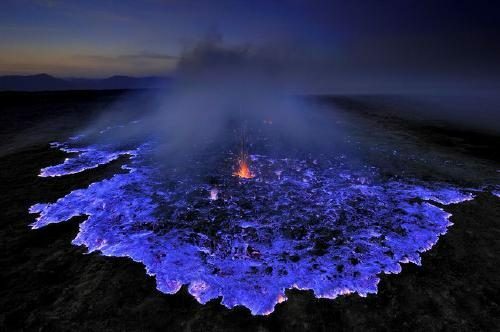 this photo actually captures a hydrothermal vent in Ethiopia, and the amazing electric blue glow seen in this image (and others like it) is produced by the bright blue flames of burning sulfuric gases rather than lava. In other words, the lava — molten rock that emerges from the Earth at ultra-high temperatures — isn’t colored significantly differently than the lava at other volcanoes, which all differ slightly based on their mineral composition but appear a bright red or orange color in their molten state. 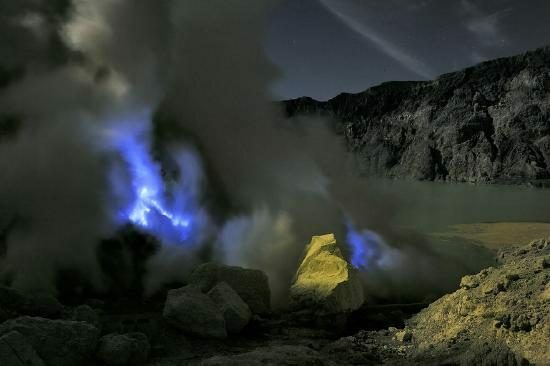 But at Kawah Ijen, extremely high quantities of sulfuric gases emerge at high pressures and temperatures (sometimes in excess of 600°C) along with the lava. 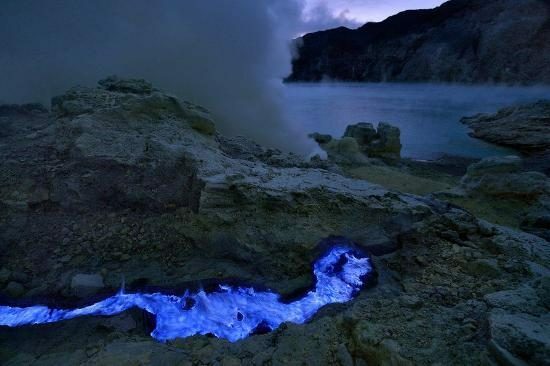 Exposed to the oxygen present in air and sparked by lava, the sulfur burns readily, and its flames are bright blue. There’s so much sulfur, Grunewald says, that at times it flows down the rock face as it burns, making it seem as though blue lava is spilling down the mountainside. But because only the flames are blue, rather than the lava itself, the effect is only visible at night — during daytime, the volcano looks like roughly any other. National Geographic. 30 January 2014.